Oh my goodness, I mean, what’s not to love here?! 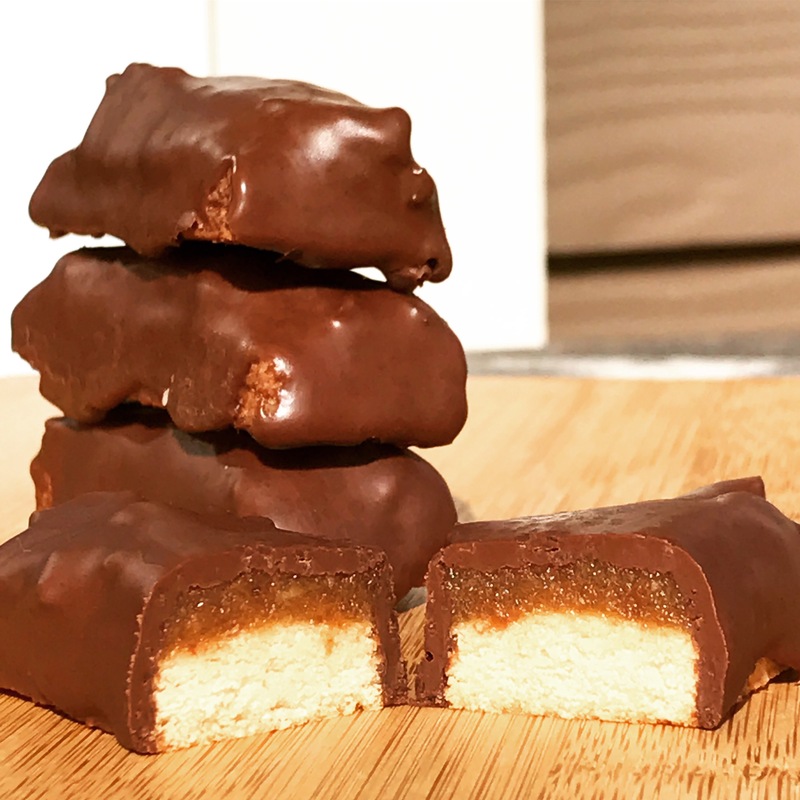 Cararamel, cookie, chocolate… all healthified by this awesome blogger I found called “So Much Yum.” Seriously good stuff on there! I’m going to try her PB truffles next! 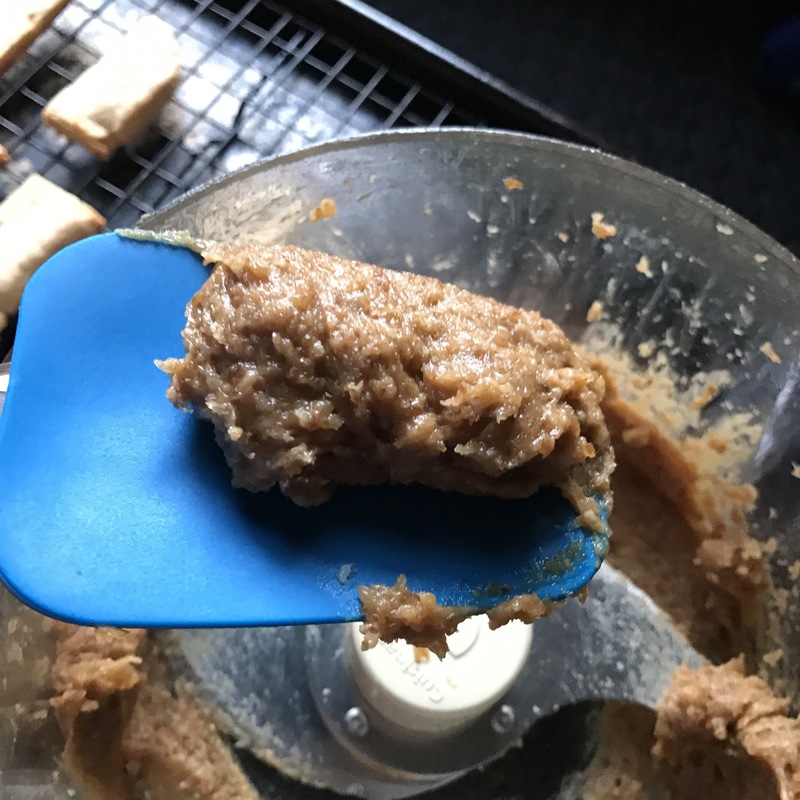 I made this recipe exactly as I found it on her blog, but am blogging it here because I had a little trouble texture wise with the cookie and the date caramel. So I wanted to document it for my own edification, annnd maybe a few others out there who are candy bar making noobs like me who need some help too! 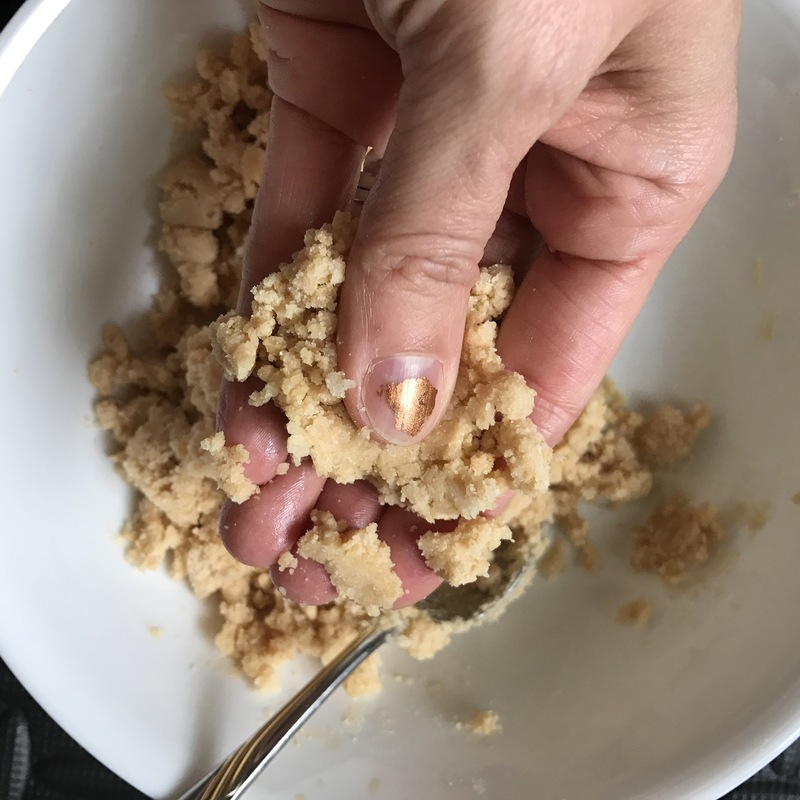 So here’s the recipe I followed. Again NOT MINE, but So Mucj Yum’s!! I just added the pictures to help me! 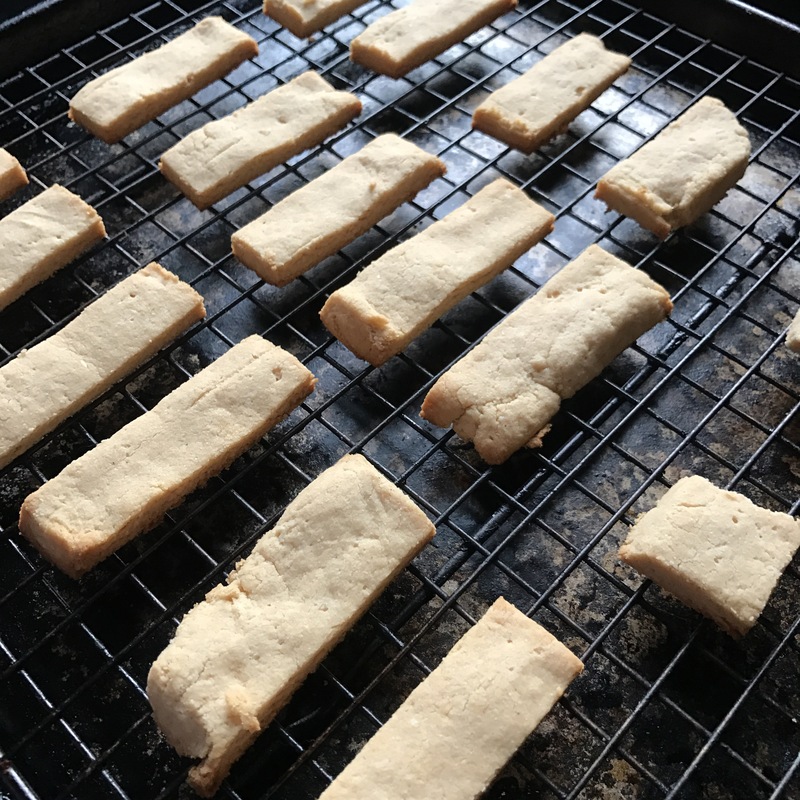 First, make the shortbread cookies. 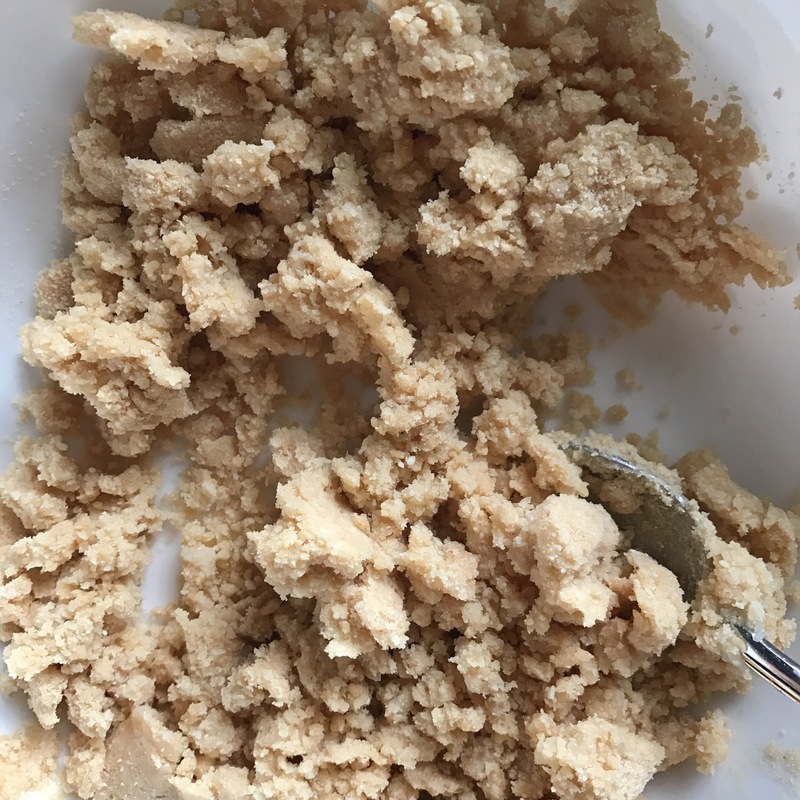 Whisk together the almond flour, coconut flour and salt. 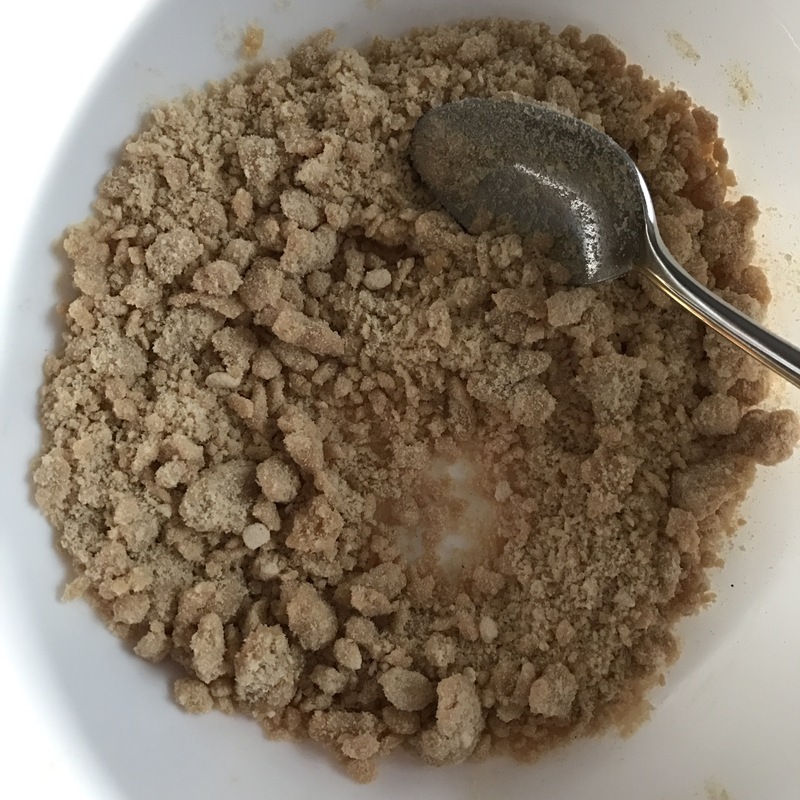 Add maple syrup and vanilla, and stir until a crumbly mixture forms. 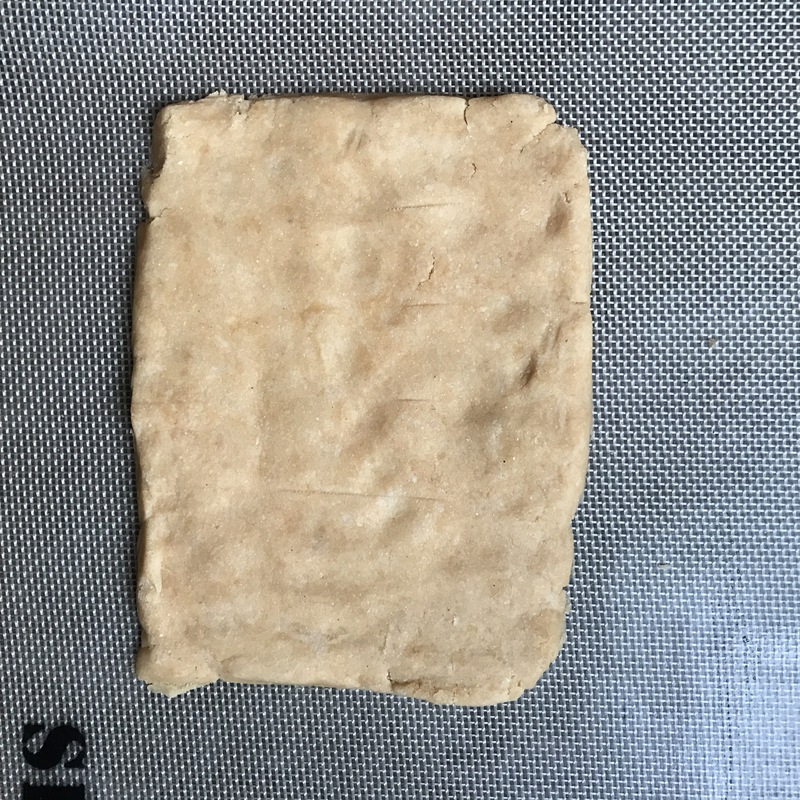 Press the dough together and transfer to parchment paper or clean, non-stick surface (I used a silpat). Form into a small rectangle about. Cut into cookies. 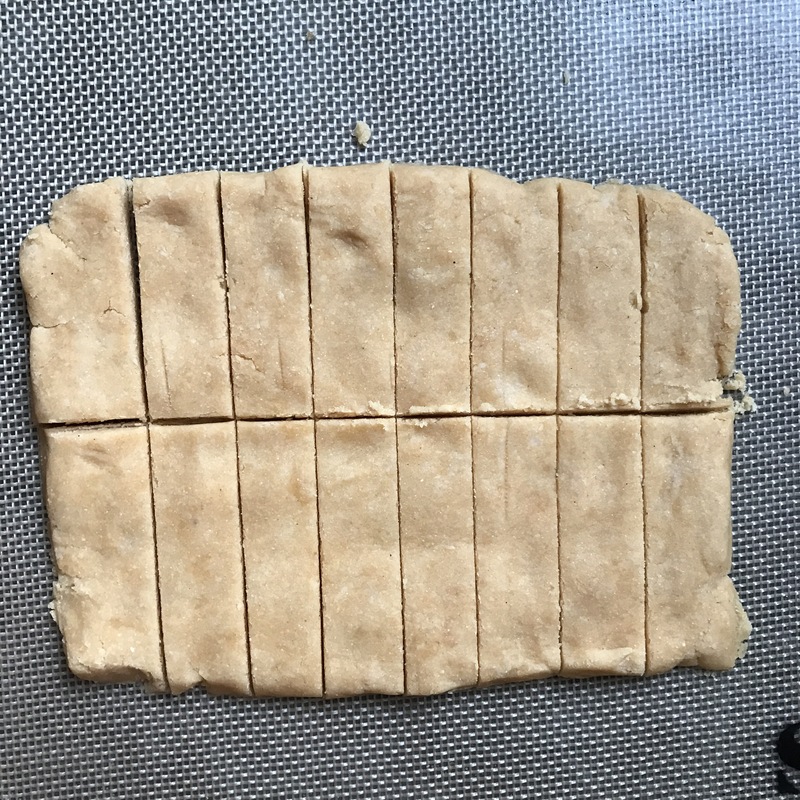 Bake for 10-11 minutes or until edges are lightly browned. 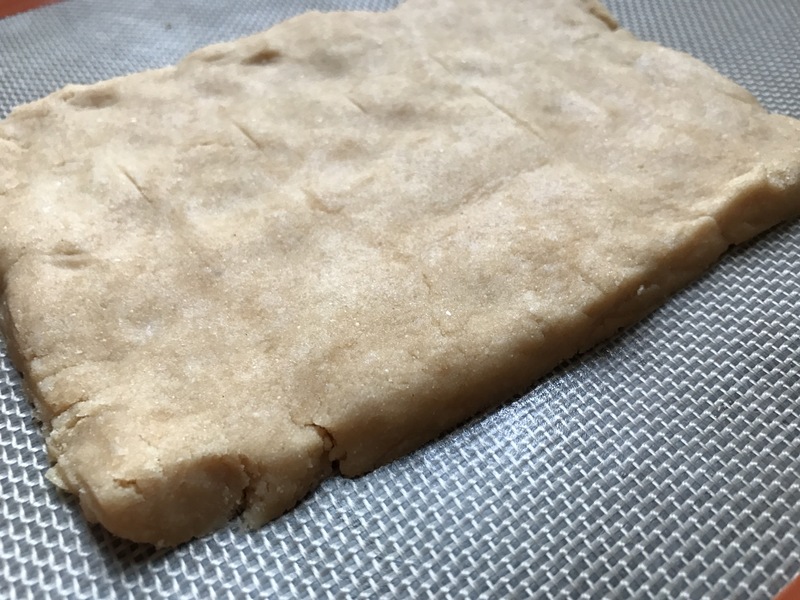 Transfer parchment paper with cookies to wire rack and let cool completely. Use a food processor to process the dates into a sticky caramel. I had to pause it and scrape down the sides a lot. 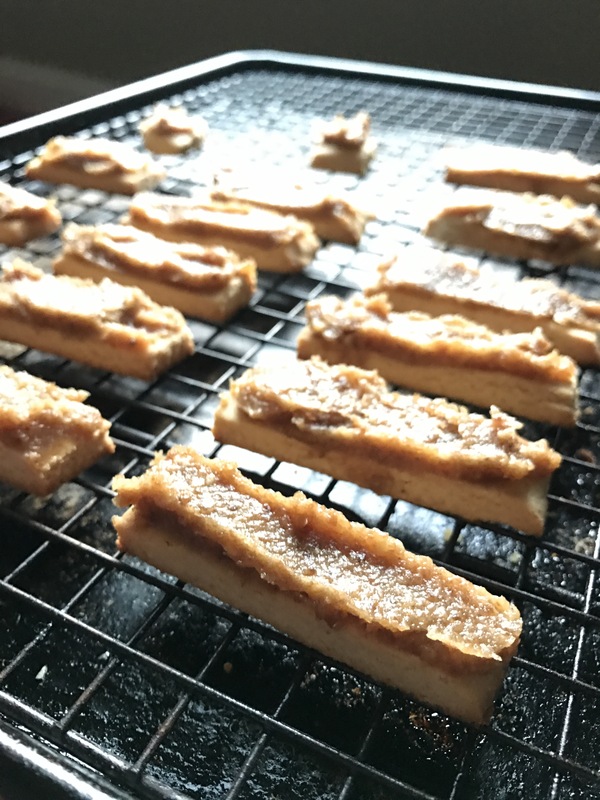 Spread date caramel evenly onto cooled cookies. Place in freezer for 30 minutes to set the caramel. This was good for me. Requires patience and attention to detail… which I’m not naturally good at. After this I just melted the chocolate and coconut oil in a pot on the stove on SUPER low heat. Chocolate burns easily and then it’s just nasty. Then I just dunked those bad boys in the chocolate! And voila! 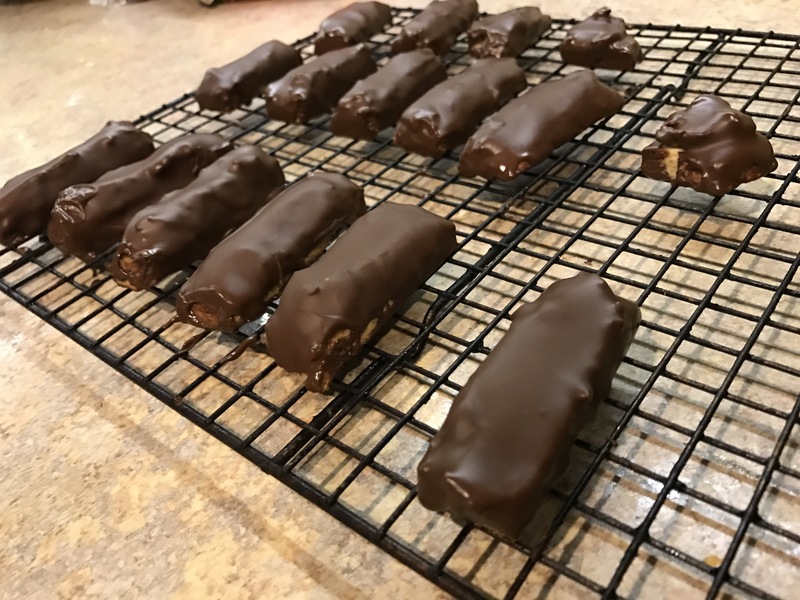 Twix Bars, healthified.